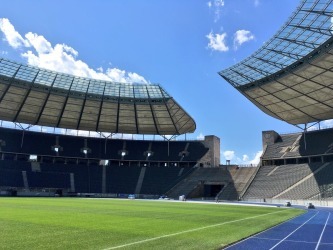 PLEASE NOTE: There will be a collection point for strollers and walkers at the Olympiastadion Berlin. Lockers are also available at the east and south gate (outside the stadium). If you have any questions, please contact the volunteers of BERLIN2018.